About the Author ORDER NOW! 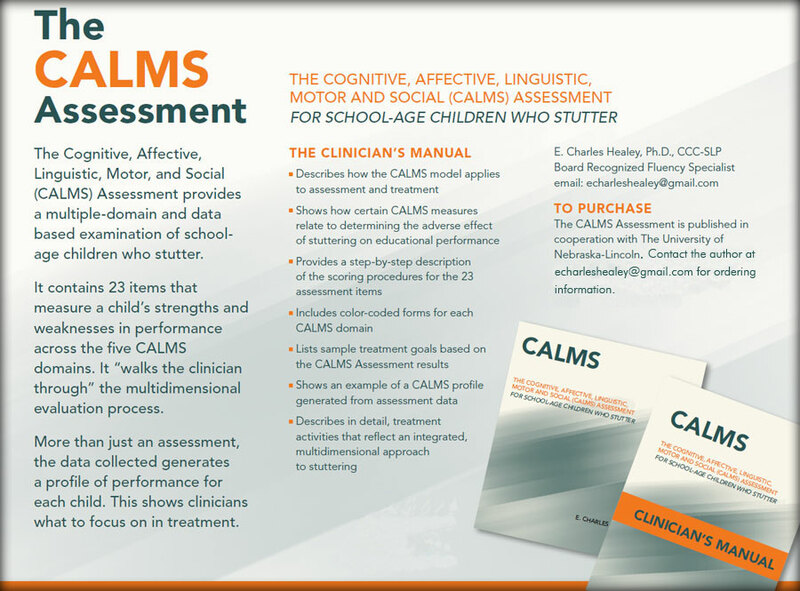 The Cognitive, Affective, Linguistic, Motor and Social (CALMS) Assessment for school-age children who stutter. Target age group: Children who stutter in 2nd grade through high school. The CALMS Assessment includes a Clinician's Manual, Assessment forms for each CALMS component, and CALMS recording forms. • A section on how the CALMS measures relate to IDEA and determining adverse effect of stuttering on educational performance. • Sample multidimensional IEP treatment goals and objectives. • A sample evaluation report. • Instructions on how to create CALMS item and component profiles. • A section on reliability and validity.